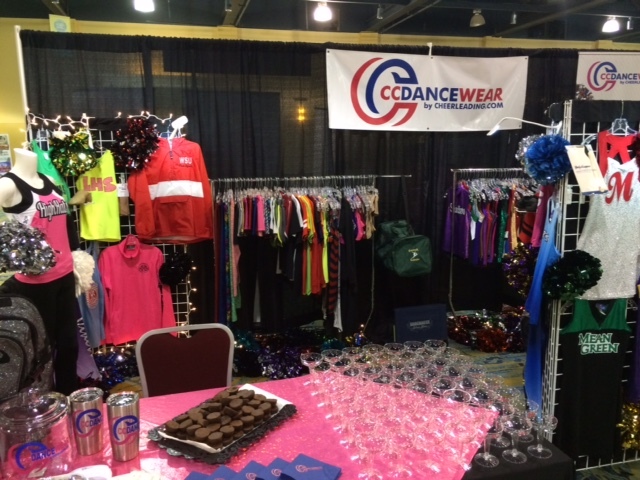 CC Dancewear kicked off the new year and celebrated 15 years of our catalog at the Texas Dance Educators Association (TDEA) Convention and Exhibit in The Woodlands, Texas, in early January. 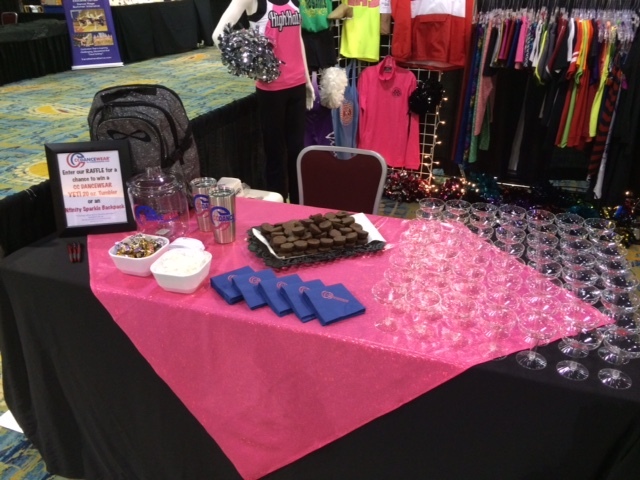 We were thrilled to get our product in front of so many directors, dance teachers and students at the exhibition. We had a great time meeting potential customers and visiting with current customers. The CC Dancewear line is growing and evolving. Our new designs are fresh, fashionable and fun! 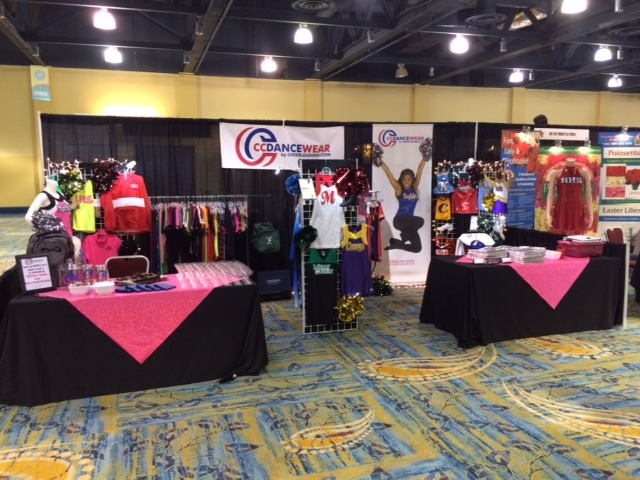 It is our goal to provide dance teams across the nation with a ONE-STOP SHOP for all their dancewear needs. 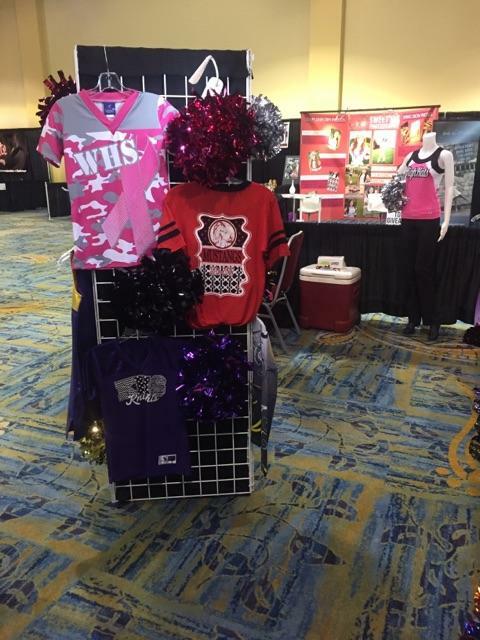 From practicewear to performance wear, bags, tights, poms and shoes, we’ve got it all! The HOT item of the show was our NEW all-sequin performance dress. With an A-line design and comfortable fit, this dress is sure to WOW any crowd as it sparkles on the football field, basketball court or spring show stage. 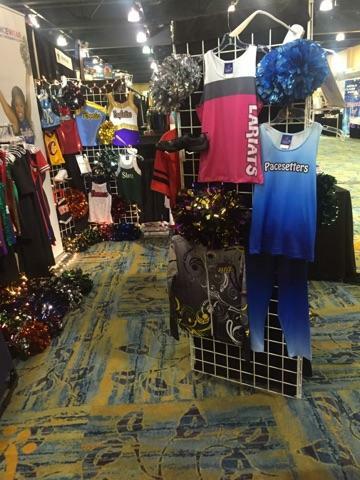 Sublimated practicewear, which includes tank tops and cropped leggings, as well as glitter vinyl practice tanks caught directors’ eyes. We are thankful to our two models from the National Champion Blinn College Treasures Dance Team, Justine and Nicole, who wore our product over the two-day exhibit and helped us greet visitors. 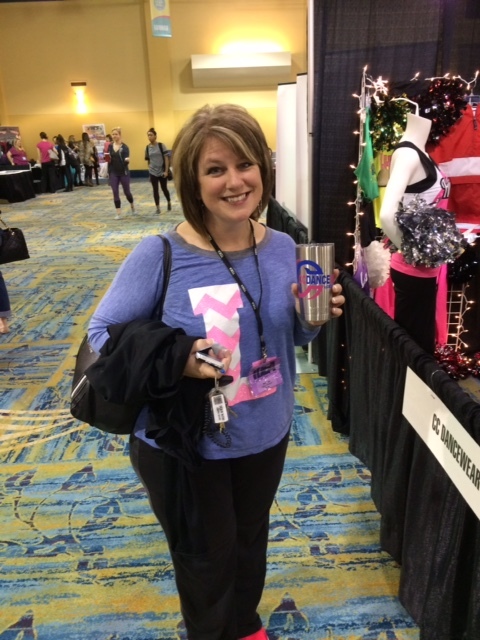 They also helped our visitors register for our raffle of Yeti Travel cups and an Nfinity Sparkle Backpack. 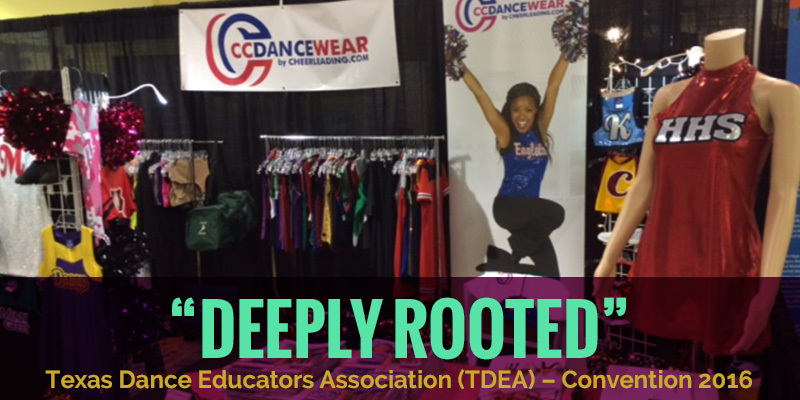 If you are a director or dance teacher in Texas, we highly encourage you to attend TDEA. This 4-day event is a special experience filled with valuable teaching resources, fun ideas and beautiful dance products. We hope to see everyone again next year!